On Tuesday, I reported that the journal PeerJ had broken its own embargo on a study of the brontosaurus, and had actually planned to in an attempt to “make sure it was published and online correctly before the press started linking to it.” The journal, as I noted, was in essence saying that it was “fine to make something available online but keep the embargo.” And there are other ways to ensure studies are available online when embargoes lift — something many journals, PNAS notably not included, have figured out. The PeerJ policy had generated some criticism before the Embargo Watch post, and reactions on Twitter and elsewhere were also critical, with rare exceptions. Today, thanks to a comment by news release service Alpha Galileo, we learned that PeerJ has reversed its policy. I can confirm that going forward we will only publish press released articles on the PeerJ website to coincide with the lifting of the embargo. We understand that the science media community wants to uphold the embargo times, so we want journalists to be able to put their trust in us that this will happen. However, we had also wanted to ensure that our authors and readers were able to receive a seamless service from us. By posting a large article (over 300 pages and 150 figures) slightly earlier than the stated embargo time we had hoped to make certain that there were no glitches ahead of any global news coverage. Also, by publishing the article earlier on our site this would also have allowed time for all of the DOI links to resolve via CrossRef. We trust that in future by only ever publishing our press released content at the stated embargo time on the press release that we continue to strengthen our relationship with the scientific community, of which we are so firmly a part of. 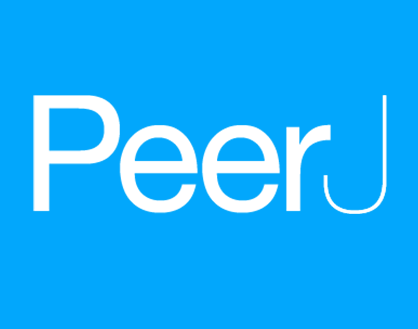 Kudos to PeerJ for reconsidering, and for acting swiftly. Welcome to the Embargo Watch Honor Roll.